222 ACRES TOTAL * ROSS COUNTY * Offered in 6 TRACTS * TOTAL MINIMUM BID $210,000! 141 +/- TILLABLE ACRES * TIMBER * PASTURE * POND * STREAM * Road frontage on 3 Road (Biers Run Rd., Albright Mill Rd., Morrison Rd.) Fresh on the Market & Not Previously Listed for Sale! “A GEM OF SOUTHERN OHIO” Tract # 1: 24 Acres 3 Bed 3 Bath Secluded Timber Frame Style Home with never ending vista views overlooking Tract # 5! Full Details below. (This tract adjoins #’s 2 & 4) Auditor indicates the following soil types: KOKOMO, GESSIE, MIAMIAN, KINN, KENDALVILLE, CANA, CROSBY. 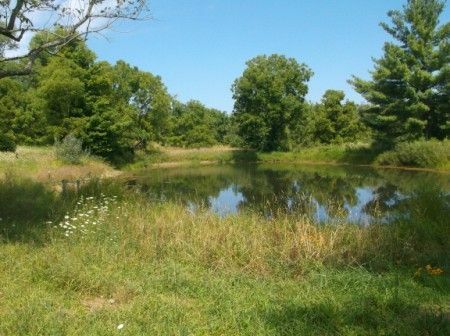 Tract # 2: 17 Acres of tillable production land and stocked pond fronting on Albright Mill Rd. adjoins Tract # 1 and # 4 with scenic views. Tract # 3: 20 Acres with access off of Biers Run Rd. being a Hillside of Timber. (Adjoins Tracts 1 & 5). Tract # 4: 22 Acres with access off Morrison Rd. being a Rolling Wooded Hillside. (Adjoins Tracts 2 & 5). Tract # 5: 123 Acres of Tillable Production Farm Land laying level to rolling, fronting on Morrison Rd. with Farm House and Barns in disrepair, & abundant road frontage. (Adjoins Tracts #’s 1,2,3,4,& 6). Tract # 6: 14 mostly tillable Acres with abundant road frontage fronting on Morrison Rd. with a wooded creek background laying mostly level to rolling. (Adjoins Tract # 5). LOOK NO FURTHER, A HOME TO DIE FOR, YOUR SEARCH HAS ENDED, YOU HAVE FOUND THE NEEDLE IN THE HAYSTACK! As you meander back the tree lined 2,000 ft. driveway see how many deer you can count before arriving at the home! This Executive Walk-Out Timber Frame Style home is majestically perched on a flat to rolling plateau with South Eastern exposure from the elevated walk out patio gives you a scenic view that will make you think you’re in the Great Smokey Mountains of Tennessee, overlooking the fertile farm ground below; to the West you will see standing hardwood timber reminding you of the jungles of Belize. This Executive style 3 Bedroom 3 Full Bath Timber Frame Style Home with walk out basement, the architectural design of this home is further improved with the massive exposed floor to ceiling stone wood burning fireplace; tile foyer with double coats closet, Eat-In Kitchen 15’ by 10’ with built in dishwasher, microwave, stainless steel sink with disposal, custom cabinetry and electric range; Combination open floor concept Dining Room/Living Room 29’ by 22’ with dual exterior access to the raised level wood walk out patio with an abundance of floor to ceiling windows; Home has exposed wood beam ceilings with a view that won’t stop! Office with closet; Executive Suite Bedroom 12’ by 17’6” with walk-in closet and attached full bathroom with shower; Sitting Room 11’6” by 8’ with tile floor, built in book case and sliding glass patio doors to the raised level patio and sky light; UPSTAIRS: Solid Oak railing staircase to the 2nd floor Open Loft, Bedroom with closet 12’ by 10’; Full Bath with shower over tub; Bedroom with closet 13’ by 11’ and attached storage room 10’ by 9’. WALK OUT BASEMENT: Recreational Room 20’ by 12’ with sliding glass door access to the lower level concrete covered patio; TV Room 12’ by 11’6”; Utility Room with washer/dryer hookup, concrete floor, 19’ by 9’6”, clothes drop, utility sink; Full Shower Bath; Hall storage coats closet; Large concrete floor storage room 17’ by 17’; an additional concrete floor storage room 8’ by 11’. Home equipped with Premier 2 Geothermal Heating & Cooling system, 200 AMP Breaker Box, Security System, Electric 61 Gallon Capacity Hot Water Tank, EZ Breathe Clean Air Filtration System, County Water, Copper Water Supply, dimensional shingle roof, front covered porch. Real Estate Terms: TOTAL MINIMUM BID $210,000. ; $10,000 down per tract at time of sale cash/check with photo ID;Balance & Possession upon delivery of deed on/before December 8, 2014, except for Tillable Production Tracts 5 & 6 (December 31, 2014). 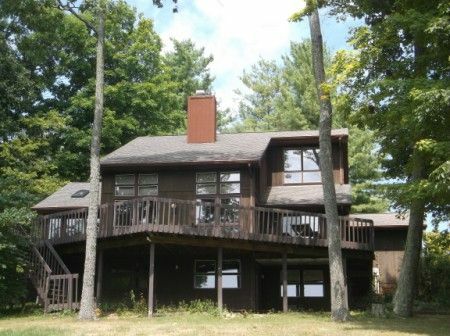 Offered free & clear prior to closing; Sold in present AS-IS condition; No Buyer’s Contingencies Exist. If the property is sold in tracts the taxes will paid current, if the property is sold as a whole the taxes will be pro-rated to closing. Personal Property Terms: No Minimums or reserves on personal property; Photo ID; Sold As-Is w/all faults; paid in full at time of sale prior to removal in cash or check;; gun buyers will sign statement prior to removal that the certify being at least 18 years of age to purchase a rifle or shotgun & at least 21 years of age to purchase a handgun; not a felon; under indictment (except for pre-owned guns); a fugitive; an unlawful user or addict of controlled substances; an adjudicated mental defective or committed to a mental institution; an illegal alien; have been discharged from the military under dishonorable conditions; have renounced US Citizenship and/or the subject of court orders that restrain against harassing, stalking or threatening such person's intimate partner or partner's child.